ICP DAS USA Industrial Data Loggers are rugged and can stand harsh environments, while storing and displaying information like temperature (in F or C) and humidity on the built-in LCD display. They support Modbus and serial communication protocols for easier integration with your existing systems. The data loggers can be used in various applications, such as building automation, energy management, pharmaceuticals, food and beverage (HACCP), warehouses, museums, etc. 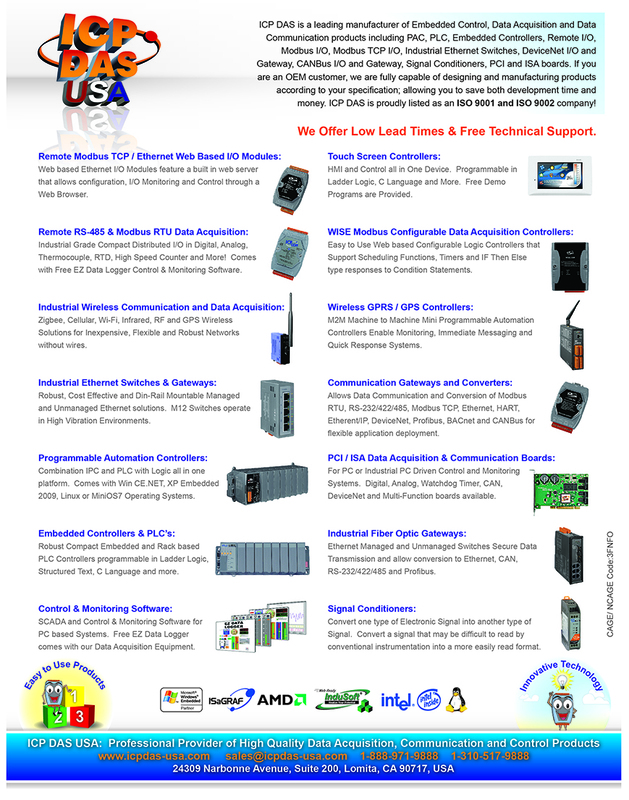 They come with free EZ Data Logger Software for data logging applications. Remote PM2.5/CO2/Temperature/Humidity/Dew Point Data Logger Module (RoHS)The CL-212 is a data logger module designed to accurately measure PM2.5, CO2, temperature and humidity. It contains RS-485 communication interface that can be used to measure a variety of PM2.5, CO2, temperature and humidity measurements.